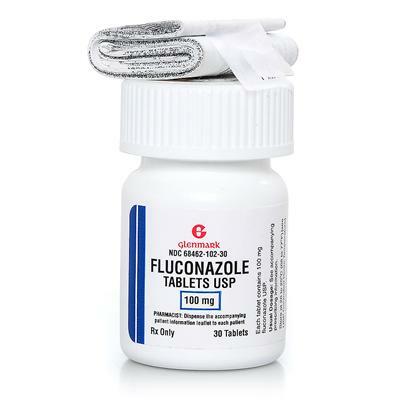 Fluconazole is an antifungal medicine that is used to treat a variety fungal infections, including yeast infections. It is typically used to treat skin infections, and more intense fungal infections of the lungs and other organs. Fluconazole is often used in pets who have been unable to tolerate other types of antifungal medication. It is also used for difficult-to-treat fungal infections, such as those that have spread to internal organs. Fluconazole can interact with many other drugs. It is important to tell your veterinarian about any other medications, vitamins, or supplements your pet is taking before giving fluconazole to your pet. Do not give to pets who have liver disease or impairment. If your pet has kidney disease or kidney failure, discuss the risks versus benefits with your veterinarian before giving fluconazole. Do not give to pregnant animals or animals that are nursing unless your veterinarian says the benefits outweigh the risks. Do not give fluconazole to any pets who are sensitive or allergic to other "azole" antifungal medications, such as ketoconazole. If you have any concerns about this medication, talk with your veterinarian before giving it to your pet. Dogs/Cats (All weights): Dosage and how frequently you will need to administer the medication depends upon the particular infection being treated. Follow your veterinarian's instructions.